March 23, 2017 by Keith Wilson Crain, Jr.
OH NO, SO LONG VISTA…? 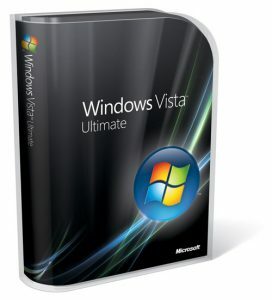 Microsoft has set the end of support date for Windows Vista on April 11th 2017. The most criticized operating system Microsoft has ever released is finally coming to an end. the End of support refers to the date when Microsoft no longer provides automatic fixes, updates, or online technical assistance. This is the time to make sure you have the latest available update or service pack installed. Without Microsoft support, you will no longer receive security updates that can help protect your PC from harmful viruses, spyware, and other malicious software that can steal your personal information. Unfortunately, the update process going from Vista to 10 is not known to be particularly smooth. Computer Corrections can help keep your company or personal computer running at it’s peak performance. Contact us today to see how we can help you.